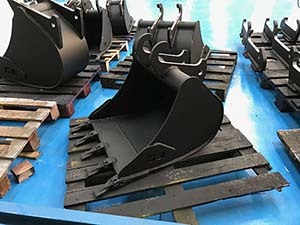 Since 1990, we have been manufacturing a wide range of buckets for excavators, from 0.8 to 120 tons. 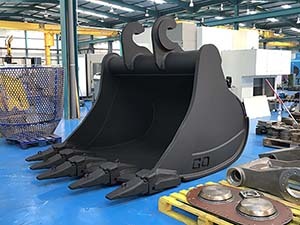 Buckets for more than 50 ton excavators are built specifically for each machine, taking into account the exact specifications of the excavator manufacturer as well as the needs of the customer. 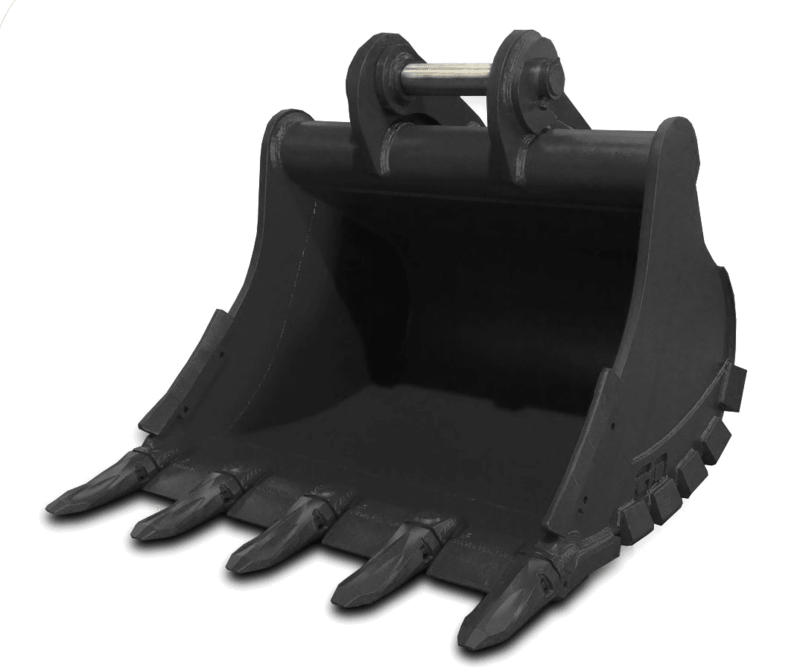 The complete range of buckets is entirely made from HARDOX 400 anti-wear steel plate. 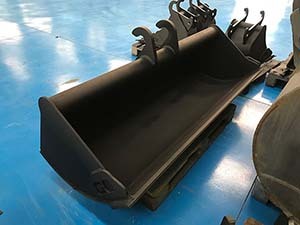 In addition to being abrasion-proof, anti-wear plate offers more than double the elastic limit and tensile strength of steels commonly used. 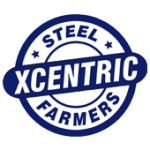 This means we can achieve a strong hardwearing structure for the bucket under good conditions. Design development is basically focused around the findings from users and field tests. 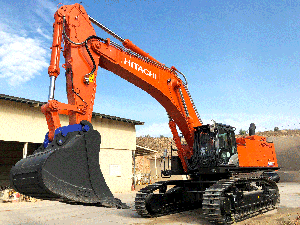 Our aim with this process is to find the best load displacement / cost ratio. Click here to learn more about our buckets and couplers on our GRADO CERO website.